Hello and Happy Friday!! It's new release day over at The East Wind and today is a new Lucy Loo, "Hair". 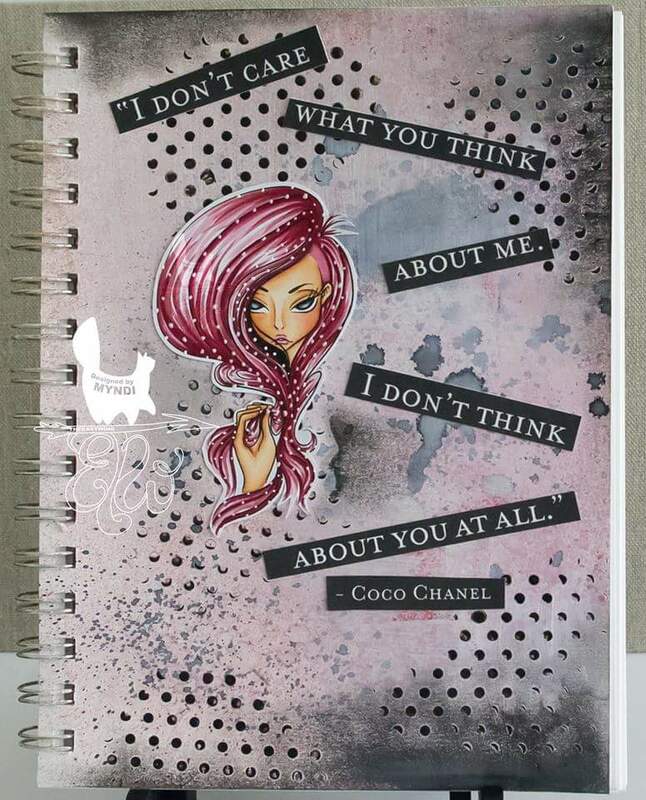 I put this together in my art journal using some sprays, gelatos and gel medium. I coated the page with gesso, then sprayed Totally 80's Lindy's Stamp Gang sprays after the gesso had dried. I mixed some black gelato with gel medium and applied it over a polka dot stencil. Then I applied the black gelato on it's own over the dots after they were dry so there was some resist. 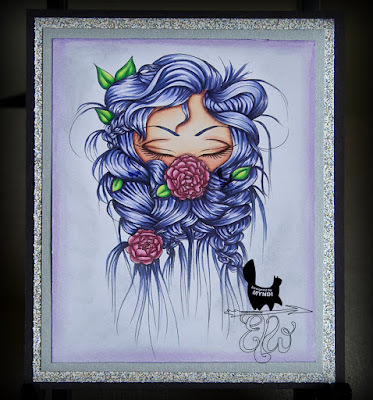 I coloured the image with Copics, and used a white gel pen to add the dots in her hair. I found the quote on Pinterest, and thought, that is EXACTLY what Lucy Loo would say to someone because she has ATTITUDE! I hope you come over and join our Facebook page, if you haven't already, and join in on our monthly challenge "It's All About the Hair". Plus we have twice monthly challenges on the BLOG. There are lots of chances to win some free images at The East Wind. I know Unky is about to start her colouring therapy videos again, also, and they are fantastic!! Thanks for stopping by and letting me share my newest project with you!! It is my last Fab Friday on the Tiddly Inks Design Team for this term. It has been an amazing four months and I am so grateful and lucky that Christy chose me to represent her brand. I hope I did her stamps justice! I am using "Wryn - Berry Sweet" for my final DT project. I hope you like her! She's nice and bright! This stamp is available in digital and clear stamp formats, so if you are one who likes to have the physical stamps, you can get her in clear photopolymer HERE. I coloured her with Copics, and I did the background with Copics also, using a background technique that I learned at Kit & Clowder. The August Create & Learn Class has a free Background Technique booklet included in it for quick and easy backgrounds you can make with your markers. It was a lot easier than I thought it was going to be and I didn't screw it up, so "Yay, Me!!" I kept the finished product simple because there is quite a bit going on in the image itself. I had some red polka dot paper that I have been saving for forever, and finally found the right project to use it on. The red paper is just basic paper from my stash. 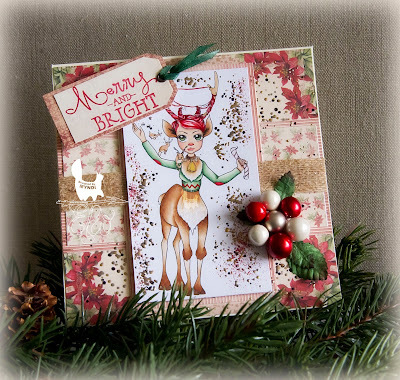 Make sure you check out the blog and all the other Tiddly Inker's projects! There are always amazing projects to admire there! Don't forget there are challenges there also, every other Tuesday. Don't miss out on your chance to win some free images. It's All About the Hair!! Time for a new challenge over at The East Wind's Facebook group!! The theme is "It's All About the Hair!" We want to see your wild and crazy hair ideas over there using any TEW image. Crazy hair, crazy colours, both!! Let your hair down and let us see what you can do! I coloured the image with Copics, and used Gelatos around the edge. I matted it on a silver metallic card stock, then again on silver glitter card stock, and I used a black card base, so you can't really see it in the picture. The hair was time consuming, lots of little flicks!! Don't forget there are also twice monthly challenge on the blog, PLUS we'll be running another mini colouring contest in September. Keep checking in for info on that. 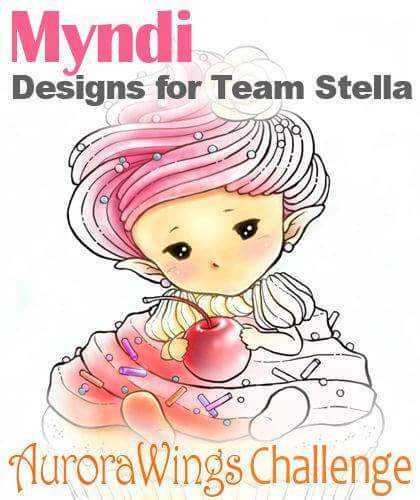 The current mini-contest closes on Sunday, so get your makes in by then for a chance to win!! 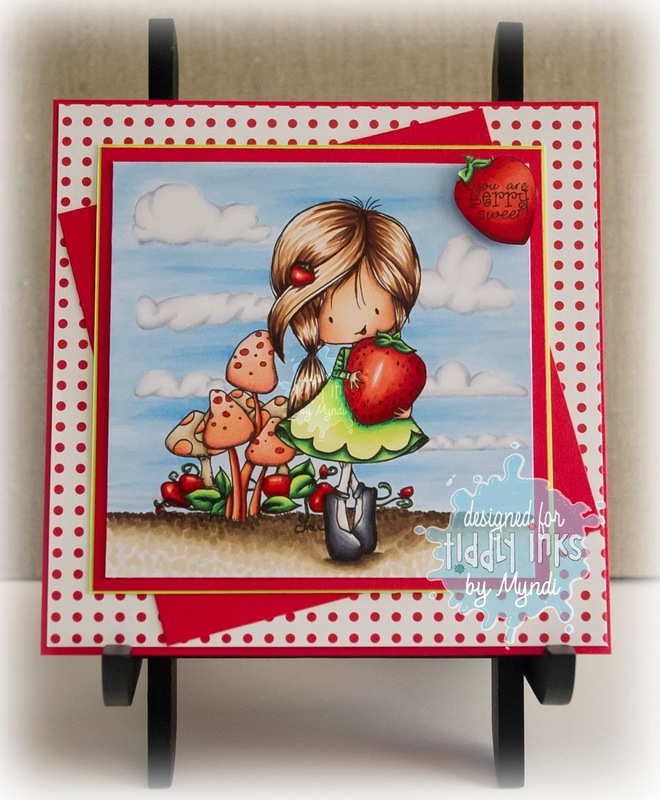 I'm so privileged and excited to tell you that Christy Croll at Tiddly Inks chose my card using her new image "Foxer Upper" as one of the cards for a feature on Tiddly Inks on the blog Paper Crafter's Library. 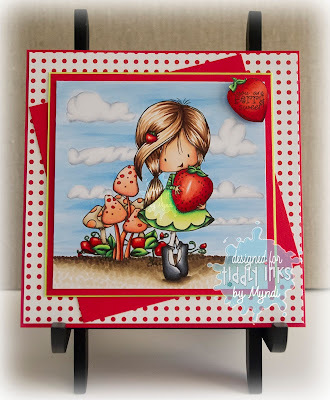 Paper Crafter's Library is a great place to find trends, tutorials, and info about great stamp artists like Tiddly Inks! At first I wasn't sure which way to go with the colours. I was thinking something more neutral and earth toned, but for some reason this paper from Michele R Designs was screaming to be used, and I ended up going a little shabby with the design. Thanks so much for visiting!! I hope you like how it turned out. Like I said, I'm so excited and privileged that Christy chose my card. Her DT is amazing and the work they produce is above par!! 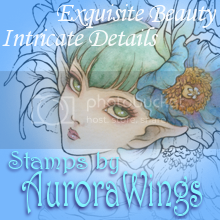 A new release today from The East Wind: Aurora "Magic"!! Let's get ready for some Christmas spirit! I know, it's August. It's still hot outside, but I am ALWAYS late with my Christmas cards, if I even get them out at all, so I really do need to start thinking about them NOW. Unky has some reindeer centaur action going on with this one, and I LOVE it!! How many reindeer centaur have you seen?? I coloured the image with Copics. The papers are from Michele R Designs - Santa is Coming. I bought some berry stems from Michaels and trimmed some of the berries off and made a little bauble on the side with some paper leaves from Wild Orchid Crafts. I also used some Aged Scarlet Frantage around the image and the card corners. 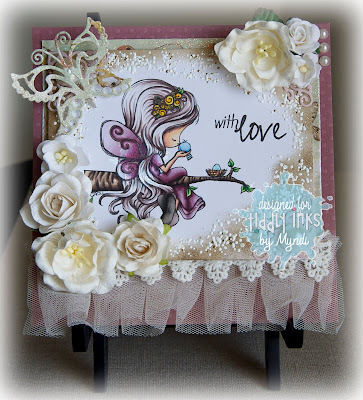 The sentiment stamp is from Verve stamps. Right now we have a colouring contest going on in the Facebook group. It is strictly a colouring contest, no finished project is required. Head over there and check it out! We just finished the "Once Upon A Time" contest there too, and another theme will be announced on the 21st, so make sure you log in on the 21st and see what we have up our sleeves! 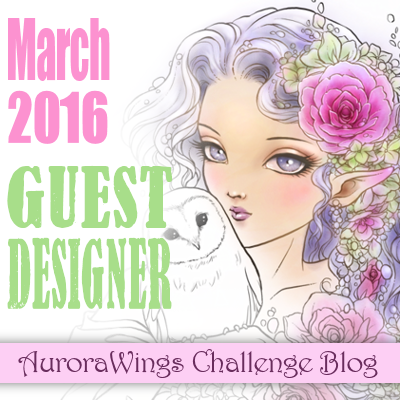 Don't forget that there are twice monthly challenges on the blog as well. So many opportunities to take part in the fun and have a chance to win some free images!!! Don't miss out!! The quote is from Honore de Balzac, "The heart of a mother is a deep abyss at the bottom of which you will always find forgiveness." Isn't that the truth? I coloured this with Copics; used the Designer Grunge set of digital papers from Michele R Designs; Shabby Blue Frantage; and the flowers are from Wild Orchid Crafts and I Am Roses. Make sure you check out the blog and are signed up for the newsletter so you are getting all the latest and greatest from Christy! Take a wander through the rest of the DT ladies creations too! They are so fantastic! leave them a little love on their blogs too! Thanks for stopping by!! 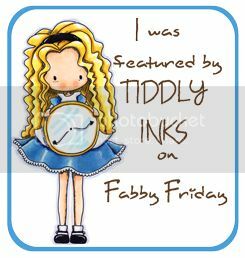 It's another Fab Friday at Tiddly Inks, and my DT term with them is coming to an end at the end of August. It's a sad thing, to be sure. I'm going to take a little break this fall as I get my twins into pre-school, and will be hauling them to the University of Alberta on the weekdays. I'm going to focus on only a couple of DT's until I see how my days are going to go, so I won't be putting my hat in the ring for another term with Tiddly Inks until I see how my schedule is going to look. Today I'm using "Fairy Tenderhearted" for my make. The papers are from Bo Bunny and Kaisercraft. The flowers are from Wild Orchid Crafts, the lace from Live & Love Crafts, and the dies are from La La Land Crafts. I coloured this with Copics, and a little Clear Star Gelly roll pen on her wings and shoes. 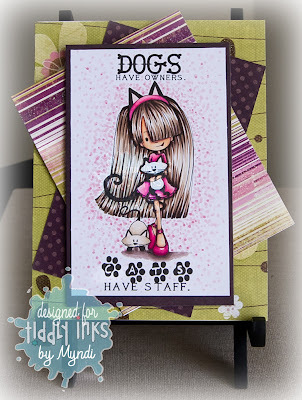 A new challenge is LIVE at Tiddly Inks' challenge blog, and the theme is "Paws for Thought". I see "Paws" I think cats!! I love cats. I love dogs. I really love most animals, but we have a cat so cats are what pop to mind. I used the Cat Love Fever set which is awesome because it comes with not just the one image. There are also sentiments and cats by themselves. It's a very versatile set. The paper is all from Bo Bunny (from a nice little spending spree a couple months ago). It's from the Jazmyne Glitter collection. I love the colours! I coloured the image with Copics, using E40's for her hair and RV11-17 for her dress and shoes.